Will formalities – will a more relaxed approach mean more disputes? A few weeks ago, the BBC reported that a court in Australia had agreed that an unsent text message could be treated as a will . Could this become a reality in the UK? And what could the impact be on will disputes? As we wait for the outcome of the Law Commission’s consultation on will reform (which ended on 10th November), we look at whether a relaxation of will formalities could lead to an increase in will disputes. The current law on wills in England and Wales is contained in the Wills Act 1837 which includes detailed rules about how someone must make their will. 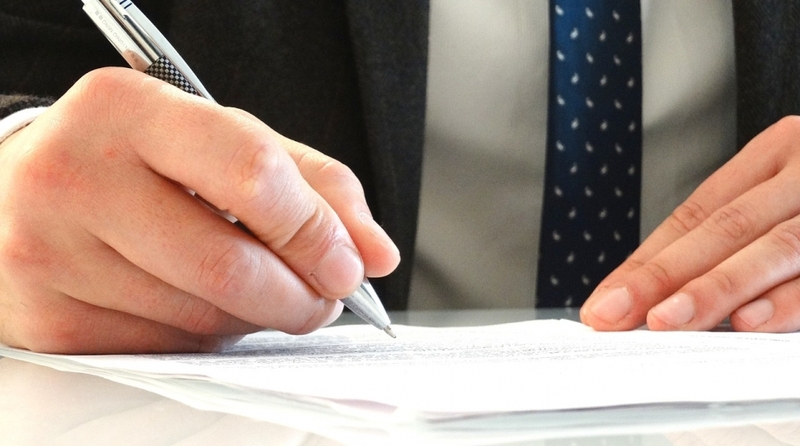 There are a number of formalities that have to be followed for a will to be valid. Modern society has also thrown up issues which are not really addressed in the existing legislation. The understanding of conditions such as dementia, the aging population generally, changes to family life and the increasing prevalence of digital technology all suggest that it is time the law relating to wills was updated. Alongside this, the fact that a high percentage of the population still doesn’t have a will needs to be addressed. The rules of intestacy can often cause as many problems as a disputed will. One of the Law Commission’s concerns is the fact that many people do not make a will. The Law Commission has recognised that the law relating to wills and testamentary capacity needs to be updated. As far as the rules on will formalities are concerned, the consultation is considering whether the courts should have the power to uphold a will if it’s clear that this is what the deceased wanted, even if the usual formalities aren’t upheld. The key problem here is that many people are put off making a will because of the formality involved – or they make a will but this is not effective because they have not followed the correct formalities. On the other hand, if formalities are reduced, there is a greater possibility of wills being accepted when they should not be – because they are forged or when the testator has made the will under pressure. This could lead to an increase in will disputes. Text message wills are unlikely to become law! Queensland, Australia relaxed the rules on what could constitute a will back in 2006. Even then, a will should be written and signed by 2 witnesses, but in this case, the judge in Brisbane Supreme Court ruled that the man concerned had clearly intended the text to be his will. Although unusual, in 2013, a DVD with ‘My Will’ written on it was also accepted in Queensland – overriding the usual requirement that a will should be written and signed by 2 witnesses. The Law Commission consultation on will reform seems to be in favour of maintaining a system whereby a valid will must be in writing and signed by 2 witnesses. While it does see the benefit in relaxing some of the rules around attestation, the consultation is also in favour of tightening up rules around people who can sign a will on behalf of a testator. The consultation is now closed and we will await the recommendations, but it seems from the questions asked in the consultation that they are unlikely to pave the way for an upsurge in will disputes. The questions the Law Commission have asked focus on written wills remaining the only appropriate form of will (although they recognise the attractions of video wills). The consultation looks at issues around who can sign a will on behalf of a Testator, whether the attestation clause should be removed for witnesses, and whether ‘holographic wills’ – wills that are completely handwritten by a testator but have not been witnessed – should be recognised as a separate class of will. If you have any concerns about will and are considering what to do, why not get in touch? We are specialist will dispute solicitors and will be happy to talk to you about your case to explain our services and how we can help you.